The ASA was wrong to ban part of a Surrey Police campaign asking the public to make a judgement call when deciding whether to call the police, the force's top comms officer has told PRWeek. Surrey Police said it would abide by the ASA’s ruling, relating to a campaign aimed at reducing unnecessary calls to the police. 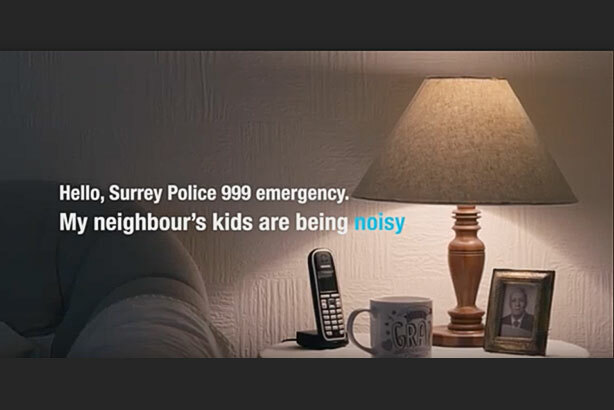 In the banned strand of the campaign, a living room is depicted with a small child crying off-camera while the caption "Hello, Surrey Police 999 emergency. My neighbours’ kids are being noisy," appears, with the word "noisy" alternating with "abused". Another caption appears at the end of the sequence that reads: "Not all calls are policing matters. To report noisy neighbours, contact your council." The advertising watchdog received one complaint about the campaign, which branded it "irresponsible" because of the suggestion that viewers should make their own judgement about whether they were witnessing child abuse. The ASA upheld the complaint, saying it breached codes on social responsibility and harm and offence because viewers may not call the police in situations where they were uncertain that a child was at risk of harm and ruled that the campaign should not appear in its current form again. However, Ruth Shulver, director of corporate comms at Surrey Police, said protecting vulnerable people, including children, was a priority for the force. She said: "We believe the evidence doesn’t support the ASA Council’s decision, which is why we are so disappointed by it… we would never want to do anything to discourage those who have concerns for someone’s safety, or victims of crime from reporting it – our core purpose is to protect the public and keep them safe. "The campaign has been seen by more than one million people, with the ASA receiving a single complaint. I think the public comments to various media websites and phone-ins on the back of the ASA ruling demonstrate that the public completely understands that when a child could be at risk we want to be told." The campaign film, one of four as well as an interactive game and social media content, aimed to educate the public about what is a police issue, after the force received 10,000 calls in 12 months about matters that did not require police involvement. Other strands in the campaign include an outdoor setting with a dumped carpet, which alternates with the word "body", and another about a stolen bicycle. An evaluation by Experian of the Surrey Police campaign, which has run twice, found that 90 per cent of 300 people understood it and that the same percentage said it had helped them distinguish between policing and non-policing maters. There were nearly 6,000 fewer unnecessary calls to the police in the wake of the campaign compared with a similar period of time the previous year but, critically, there was no reduction in calls about suspected child abuse, the force said. 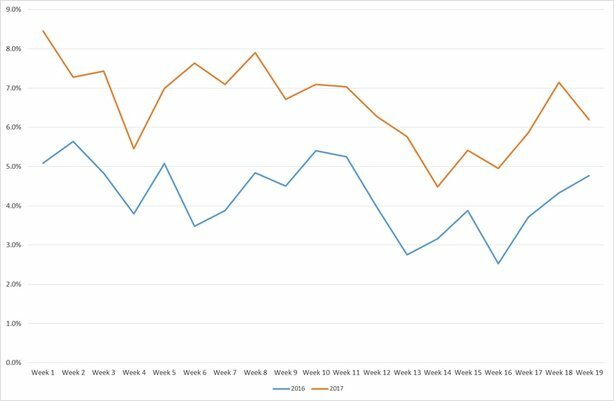 Shulver said reports about suspected child abuse were actually higher than last year. She added: "We needed to reduce the amount of calls about issues that are better serviced by other organisations so that we can focus on protecting those that really need us. The campaign has achieved that. Non-emergency calls are down but without affecting emergency calls or reports about children at risk." Asked if she thought any child abuse had gone unreported to Surrey Police as a result of the campaign, Shulver said: "The evaluation doesn’t suggest this and our messaging that accompanied the campaign throughout helped provide context and emphasise that we are running the campaign so that we can focus more officer time on important high-harm issues like child, sexual and domestic abuse, and we want to be told about them." Shulver said the force would abide by the ruling but would continue to use PR to promote its interactive game, which puts the player in the role of a call handler with limited resources, deciding to which calls they should deploy officers. She added: "With decreasing police budgets we will continue to need to find ways to reduce unnecessary demand so that we can better keep the public safe, and this campaign has shown how effective communications is in achieving this aim."